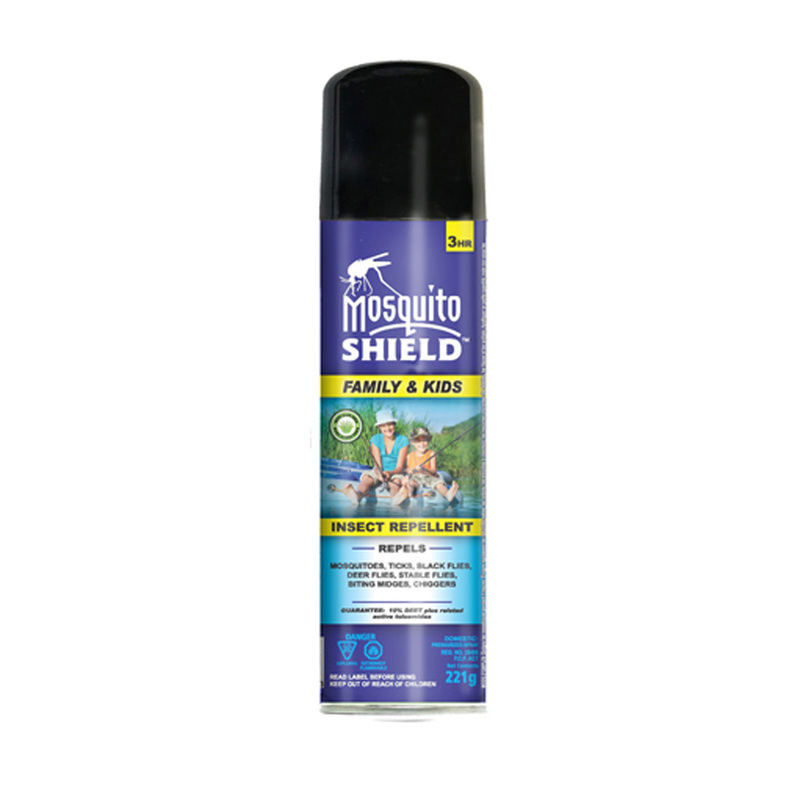 MS0011 – MOSQUITO SHIELD™ KIDS & FAMILY – AEROSOL – KUUS Inc.
MOSQUITO SHIELD™ – MS0011 – KIDS & FAMILY FORMULA – (Aerosol) This convenient aerosol can provides protection against mosquitoes for 3 hours, and this aerosol can is a 360° all angle spray. This Formula is non-greasy and non-staining that can also ensure that you are protected against bites from various insects. Should compass become separated from cap discard compass immediately – chocking hazard keep out of reach of children. DIRECTIONS FOR USE: Repels mosquitoes for 3 hours. Also repels black flies, biting midges, deer flies, stable flies, ticks, and chiggers. Apply sparingly not under clothing and only when necessary. Reapply after 3 hours if necessary. *Spray clothing and exposed skin except face.